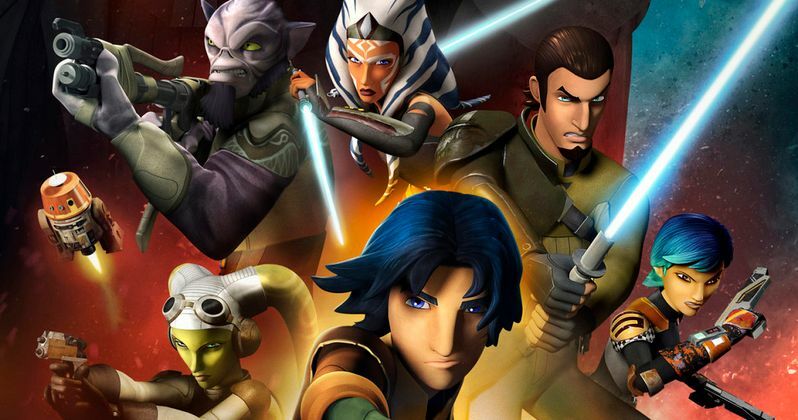 Is Star Wars Rebels Bringing Back This Expanded Universe Villain? When Disney purchased LucasFilm for $4 billion back in October 2012, the first project announced was Star Wars: The Force Awakens. Among the many questions fans wondered was if this new story would draw from the massive Expanded Universe of comic books, novels, and video games that already exist. It was later confirmed that the Expanded Universe isn't part of the official Star Wars movie and TV canon. Those stories and characters won't see the light of day on the big or small screen anytime soon. But today, we have an intriguing report from Making Star Wars, whose sources claim that one beloved Expanded Universe villain may debut in Season 3 of Star Wars Rebels. There will be potential SPOILERS below, so read on at your own risk. This report claims that Grand Admiral Thrawn will appear in Star Wars Rebels Season 3, which was renewed back in November. This character was the primary villain in Timothy Zahn's "Thrawn Trilogy" of books Heir to the Empire, Dark Force Rising and The Last Command, which were published between 1992 and 1994. The report claims that this character will still be a "tactical genius" of starship warfare, who will turn his attention to the crew of The Ghost in Season 3. There are no details yet on how he will be introduced, and who will voice this villain. If this report is true, it will mark quite the departure from LucasFilm's previous stance on the Expanded Universe. The studio announced in April 2014 that the previous Expanded Universe stories will now be re-branded under a new banner dubbed "Legends," but they are not part of the official canon. The canon includes all seven movies, Star Wars: The Clone Wars, Star Wars Rebels, and a burgeoning series of new novels, comic books and other items that are coordinated through LucasFilm's new story group, which is run by Kiri Hart. The Thrawn Trilogy starts five years after Star Wars: Episode VI - Return of the Jedi, with Star Wars Rebels is set in the years between Star Wars: Episode III - Revenge of the Sith and Star Wars: Episode IV - A New Hope. It's possible the show's version of Thrawn may be much younger than he was in the Expanded Universe. While this report claims the character will still have several of the same traits as his EU version, such as his specialty in tactical command, it still may be a much different version of Grand Admiral Thrawn that we see on the show. Star Wars Rebels returned last month to kick off the back half of Season 2. It isn't known when Season 3 will debut quite yet, but it seems likely that the show will air another TV movie special this summer, with the season kicking off in earnest this fall, like they did with the first two seasons. What do you think about Grand Admiral Thrawn coming to the small screen in Star Wars Rebels?